Your DGB for today is to help someone get a coat. If you live in the U.S right now chances are good that it’s cold. Even the deep South like Florida and Georgia have experienced freezing temperatures, snow and ice. And farther north, winter’s hitting harder than it normally does with bomb cyclones and record-breaking snowfalls. This kind of weather makes warm clothing absolutely essential for comfort and survival. 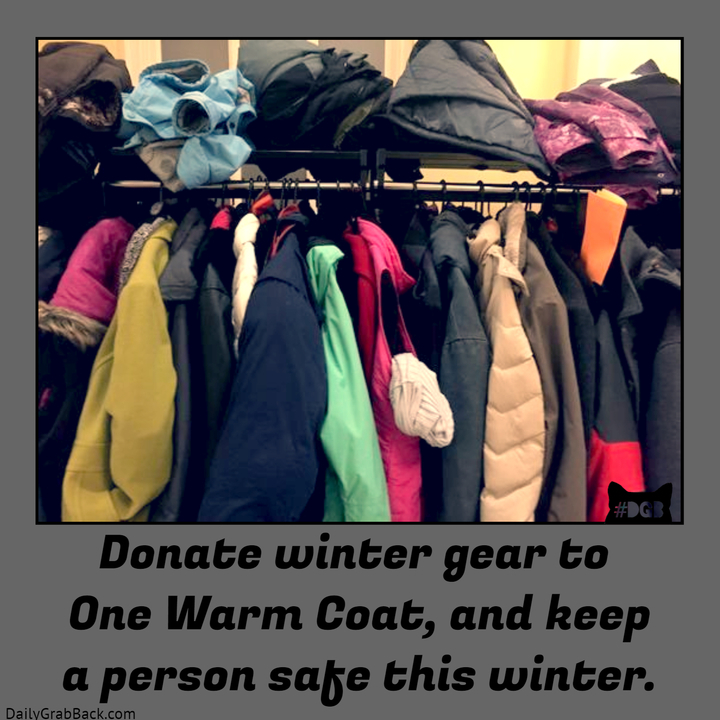 If you are lucky enough to have some extra winter gear or maybe some extra winter cash, please consider helping someone that needs a coat.